New Delhi: Amidst differences within the government over a proposal to put a cap on FDI in the pharmaceutical sector, Prime Minister Manmohan Singh is likely to review the issue with senior Cabinet colleagues on. A report of the high-level committee headed by planning commission member Arun Maira on the issue has been submitted to the Prime Minister, sources said. The health ministry is believed to have submitted a dissenting note in the report, asking for a complete ban on takeover of Indian drugs companies by multi-national companies (MNCs). A spate of mergers and acquisitions (M&As) have taken place since 2006 involving takeover of well-known domestic firms like Ranbaxy and Piramal Healthcare by the MNCs. There are concerns within the government and among civil societies that these M&As have led to increase in prices of generic drugs. Among other ministries, there are differences over proposed filters on the FDI in this industry. At present, 100% overseas investment in the pharma sector is allowed through automatic route. While the Industry Ministry has suggested that the applications for M&As involving foreign investment should be routed through the Foreign Investment Promotion Board (FIPB), Maira felt that the competition watchdog CCI is the ideal filter. The finance ministry on the other hand, is not in favour of any change in the current policy arguing that the roll-back will send a wrong signal among global investors. The recent buyouts of the Indian firms by multi-national firms included takeovers of market leader Ranbaxy Laboratories by Daiichi Sankyo of Japan, Shanta Biotech by Sanofi Aventis of France, Piramal Health Care by Abbott Laboratories of US. Also, Matrix Lab and Orchid Chemicals were bought over by Mylan Inc and Hospira of the US, respectively. Dabur Pharma was acquired by Fresenius Kabi of Singapore. Under the automatic route, a foreign company can invest in India without seeking prior approval from the FIPB. But the Reserve Bank needs to be informed about the inflows. During April-July this fiscal, India received FDI worth $2.99 billion (Rs 13,426 crore) in drugs and pharmaceutical sector. 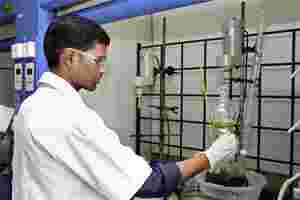 Indian pharmaceutical industry is expected to become a $20 billion industry by 2015, from its present turnover of $12 billion.